The late Kjell Sandved, born in Norway in 1922, was a noted nature photographer who took pictures of various insects, including moths, from all over the world. 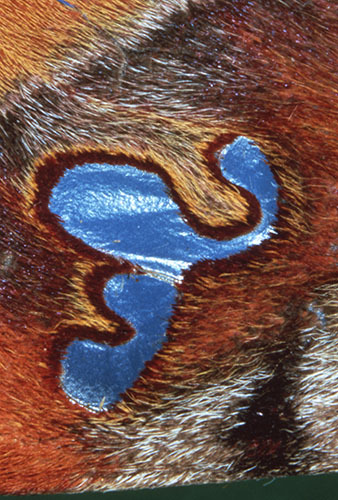 Sandved is best known for finding and photographing various shapes and patterns on butterflies and moths, including every letter of the English alphabet, smiling faces, red hearts, and animal shapes. A member of the staff of the Smithsonian Institution Museum of Natural History, Sandved published two encyclopedias: The World of Music and The World of Art, and co-authored nine other works, including: Butterfly Magic, Insect Magic, and Spiders in the Smithsonian. He passed away on December 20, 2015. To celebrate National Moth Week (July 23, 2016 – July 31, 2016), we are featuring some photographs that were donated to Special Collections Research Center by Kjell Sandved. 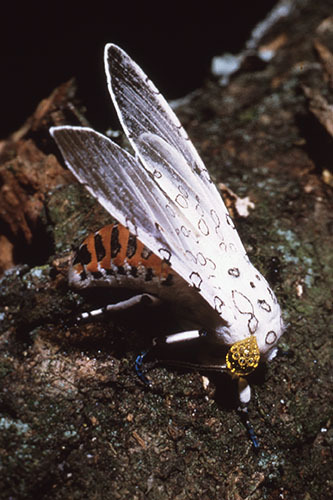 “Dog figure on silkworm moth, Rhodesia” Box 4, Page 12, in the Kjell Sandved nature photograph collection #C0020, Special Collections Research Center, George Mason University Libraries. Copyright held by Kjell Sandved. “Speiredonia Sp. 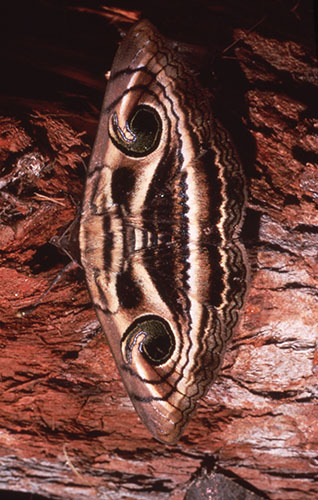 Moth ‘Face’, Sabah”Box 4, Page 11, in the Kjell Sandved nature photograph collection #C0020, Special Collections Research Center, George Mason University Libraries. Copyright held by Kjell Sandved. “Problepsis, new sp. moth ‘bug design’, Malaya”Box 4, Page 10, in the Kjell Sandved nature photograph collection #C0020, Special Collections Research Center, George Mason University Libraries. Copyright held by Kjell Sandved. 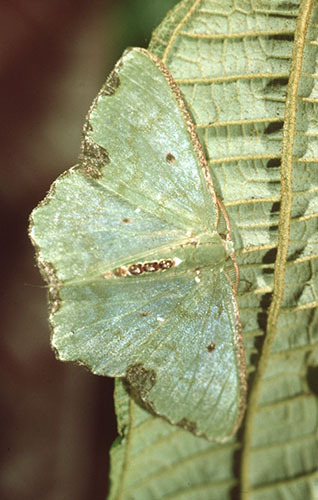 “Plutodes discigera moth, Malaya” Box 4, Page 10, in the Kjell Sandved nature photograph collection #C0020, Special Collections Research Center, George Mason University Libraries. Copyright held by Kjell Sandved. 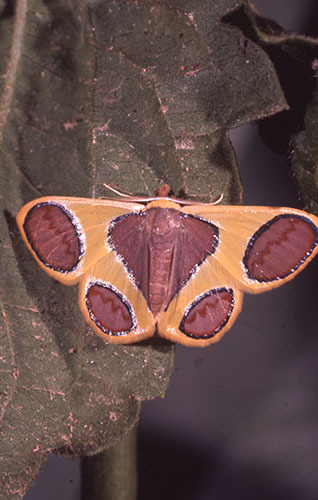 “Eucereon confusum moth, Manaus, Amazon” Box 4, Page 9, in the Kjell Sandved nature photograph collection #C0020, Special Collections Research Center, George Mason University Libraries. Copyright held by Kjell Sandved. 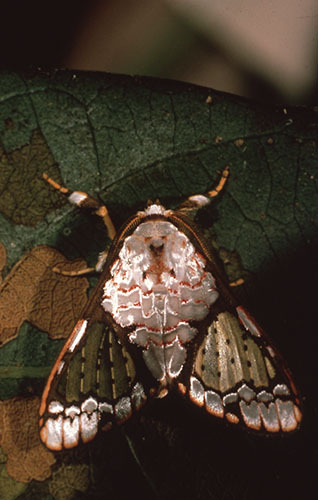 “Cosmosoma metallescens moth, Manaus, Amazon” Box 4, Page 9, in the Kjell Sandved nature photograph collection #C0020, Special Collections Research Center, George Mason University Libraries. Copyright held by Kjell Sandved. “‘Warning behavior’ repellant fluid from glands, Tiger Moth, Peru” Box 4, Page 8, in the Kjell Sandved nature photograph collection #C0020, Special Collections Research Center, George Mason University Libraries. Copyright held by Kjell Sandved. 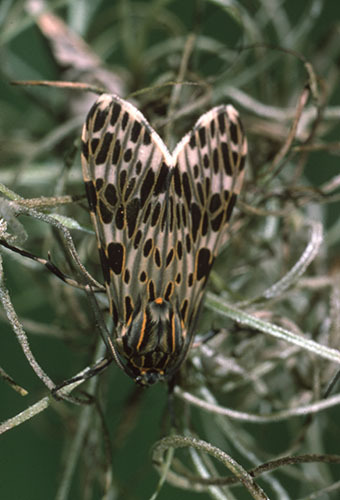 “Azatrephes discalis, Tiger Moth, Manaus, Amazon” Box 4, Page 8, in the Kjell Sandved nature photograph collection #C0020, Special Collections Research Center, George Mason University Libraries. Copyright held by Kjell Sandved. 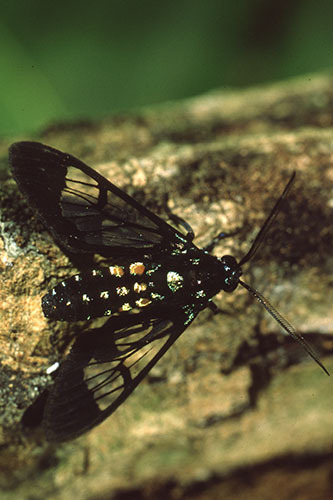 “Oospila sp. 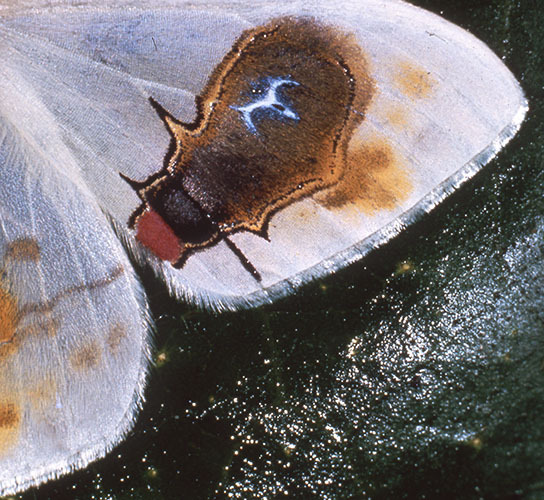 moth, Manaus, Amazon” Box 4, Page 8, in the Kjell Sandved nature photograph collection #C0020, Special Collections Research Center, George Mason University Libraries. Copyright held by Kjell Sandved. The finding aid for Kjell Sandved includes biographical information and a content list for the materials we hold. Additionally it can be found by going to sca.gmu.edu and searching for Kjell Sandved. Anyone can make an appointment to look through the collection by contacting speccoll@gmu.edu. The Kjell Sandved estate retains copyright for these photographs.